Posted July 19, 2017 by Caroline Preece & filed under Features, Guides. It’s the biggest date in any TV fan’s calendar, but those of us stuck in ol’ Blighty have to make do with the snippets of info found online at increasingly unsociable hours (SDCC hangover is a thing even if you’re not their in person). This year, we’ve got your back. Here’s your handy guide to the best panels to keep an eye out for this weekend. 12pm Sherlock comics panel w/ Steven Moffat and Sue Vertue, with sneak peeks, art previews and possible announcements. 5pm Britbox’s classic Doctor Who panel w/ Peter Davison, Colin Baker and Sophie Aldred discussing the original run of the show and offering a sneak peek at a newly reconstructed Second Doctor story ‘The Wheel in Space’. 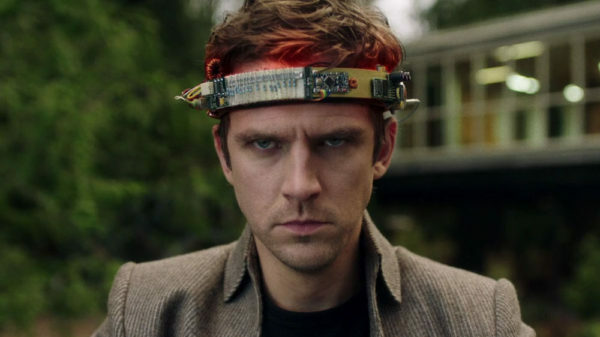 5pm Legion panel w/ Dan Stevens, Rachel Keller, Aubrey Plaza, Jean Smart, Bill Irwin, Jeremie arris and Amber Midthunder, joined by executive producers Noah Hawley, John Cameron, Lauren Shuler Donner and Jeph Loeb. 6:15pm Marvel’s Inhumans panel w/ cast and producers. 11:15am Fear the Walking Dead panel w/ Kim Dickens, Frank Dillane, Alycia Debnam-Carey, Colman Domingo, Mercedes Mason, Sam Underwood, Daniel Sharman and Michael Greyeyes, joined by producers Dave Erickson, Robert Kirkman, Gale Anne Hurd, Dave Alpert and Greg Nicotero. 11:15am iZombie panel w/ Rose McIver, Malcolm Goodwin, Rahul Kohli, Robert Buckley, David Anders and Aly Michalka, joined by executive producers Rob Thomas and Diane Ruggiero-Wright. 12:15pm The Walking Dead panel w/ Andrew Lincoln, Norman Reedus, Jeffrey Dean Morgan, Lauren Cohan, Danai Gurira, Melissa McBride, Chandler Riggs, Lennie James, Alanna Masterson, Seth Gilliam and Khary Payton, joined by producers Scott M. Gimple, Robert Kirkman, Gale Anne Hurd, Dave Alpert and Greg Nicotero. 1:30pm Game of Thrones panel w/ Alfie Allen, Jacob Anderson, John Bradley, Gwendoline Christie, Liam Cunningham, Nathalie Emmanuel, Isaac Hempstead Wright, Conleth Hill and Sophie Turner. 3:30pm DuckTales panel w/ David Tennant, Danny Pudi, Ben Schwartz, Kate Micucci and Beck Bennett, joined by producers Matt Youngberg and Francisco Angones. 4pm Preacher panel w/ Dominic Cooper, Ruth Negga, Joe Gilgun, Graham McTavish and Ian Colletti joined by producers Seth Rogen and Garth Ennis. 5pm Outlander panel w/ Caitriona Balfe, Sam Heughan, Tobias Menzies, Sophie Skelton and Richard Rankin, joined by executive producers Ronald D. Moore and Maril Davis. Author Diana Gabaldon will also be in attendance, with the panel moderated by Jenna Dewan Tatum. 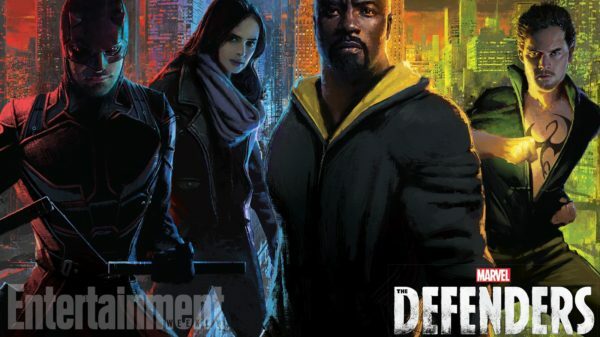 5:15pm Marvel’s The Defenders panel w/ Charlie Cox, Krysten Ritter, Mike Colter and Finn Jones. 11am Riverdale panel w/ KJ Apa, Lili Reinhart, Camila Mendes, Cole Sprouse, Madelaine Petsch, Ashleigh Murray, Casey Cott, Haley Law and Asha Bromfield, joined by producers Roberto Aguirre-Sacasa, Sarah Schechter and Jon Goldwater. 1:50pm Lucifer panel w/ Tom Ellis, Lauren German, Rachael Harris, Kevin Alejandro, Aimee Garcia and Tricia Helfer, joined by executive producers Joe Henderson and Ildy Modrovich. 2:30pm Star Trek: Discovery panel w/ Sonequa Martin-Green, Jason Isaacs, Doug Jones, Shazad Latif, Mary Wiseman, Anthony Rapp and James Frain, joined by executive producers Alex Kurtzman, Gretchen J. Berg, Aaron Harberts, Heather Kadin and Akiva Goldsman. 3pm Westworld panel w/ Ben Barnes, Ingrid Bolso Berdal, Ed Harris, Luke Hemsworth, James Marsden, Thandie Newton, Simon Quarterman, Rodrigo Santoro, Angela Sarafyan, Jimmi Simpson, Tessa Thompson, Evan Rachel Wood, Shannon Woodward and Jeffrey Wright, joined by creators Jonathan Nolan and Lisa Joy. 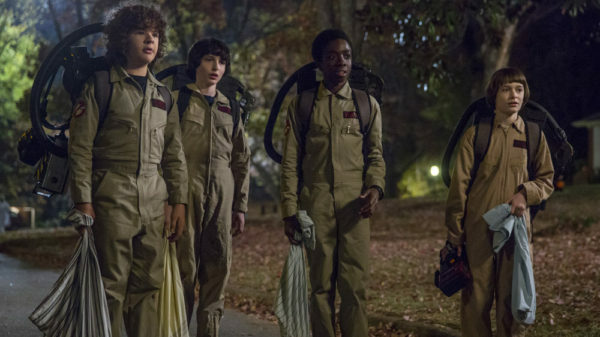 3pm Stranger Things panel w/ cast and creators. 3:30pm DC TV (Supergirl, Legends of Tomorrow, Black Lightning, The Flash, Arrow) w/ cast including Caity Lotz, Victor Garber, Brandon Routh, Dominic Purcell, Franz Drameh, Nick Zano, Maisie Richardson-Sellers, Grant Gustin, Jesse L Martin, Tom Cavanagh, Candice Patton, Danielle Panabaker, Carlos Valdes, Keiynan Lonsdale, Stephen Amell, David Ramsey, Willa Holland, Emily Bett Rickards, Paul Blackthorne, Katie Cassidy, Echo Kellum, Juliana Harkavy and Rick Gonzalez. 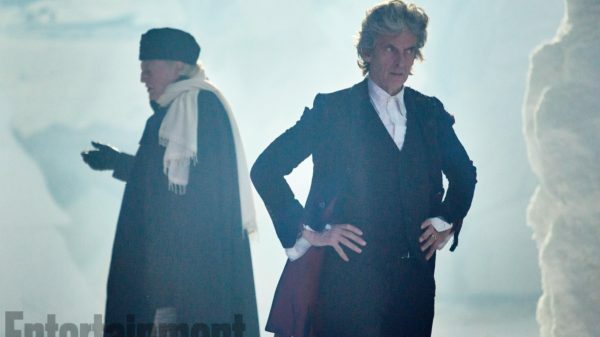 2pm Doctor Who panel w/ Peter Capaldi, Pearl Mackie, Matt Lucas and Michelle Gomez, joined by writer Mark Gatiss and showrunner Steven Moffat.